8.5 X 11" ~ 3 SHEETS ADHESIVE MULBERRY PAPER. GREAT FOR CARD MAKING, SCRAP BOOKING AND OTHER PAPER CRAFTS. Premium Vellum papers, perfect for crafting, cards making, scrap-booking, and more! Colors include white, red, blue, yellow, light green, dark green, purple, and pink. Create stunning overlays, accent pieces, and backgrounds for almost any project. 29 lb Smooth Vellum Sheets. UV Ultra Translucent/Transparent. Lot: 100 Sheets. Size: 8 1/2 " x 11". Highest whiteness and brightness translucent vellum. Laser and Ink Jet compatible. Excellent for Pergamano, wedding invitations, scrap booking and other paper crafts. 2-Yellow Glistening. 2-Sunset Glistening. 2-Red Glistening. 2-Violet Glistening. Each sale is for 1 Sheet of this vellum paper. Vellum - which is a light weight, opaque-ish paper. With printed silhouettes of Disney Characters on each. 50 Pieces Tracing Paper. - 50 sheets of translucent vellum paper for arts and crafts. - Great for creative invitations, card insert tissue, photo overlays, scrapbooking and other art crafts. - Material: Card Paper. They are 6”x6”. There are various flower patterns and botanical prints. There are 2 of each pattern. 6 Pieces (3 sizes) (2 of each size). 3 pkgs of unopened 15 sheets (upc code 19068). Ending Apr 30 at 7:16PM PDT7d 3hSize: 8.5" x 11"
1 sheet of Bo Bunny: Faith: Foiled Vellum scrapbook paper. Cardboard inserts and/or bubble wrap are added as needed. Item must be unused and in original condition. 1 sheet of Bo Bunny: Winter Wishes: Foiled Vellum scrapbook paper. Cardboard inserts and/or bubble wrap are added as needed. Item must be unused and in original condition. 1 sheet of Pink Paislee: Moonstruck Specialty Vellum scrapbook paper. Cardboard inserts and/or bubble wrap are added as needed. Item must be unused and in original condition. S e t o f 3 two p a c k s c a l l o p e d edge e n v e l o p e s.
ADP1212-5 8821 PAPER PEARLIZED 12X12 80LB CHAMPAGNE 5PC. Paper Accents Pearlized papers are great for scrapbooking card making rubber stamping and more Acid free lignin free buffered and archival quality 12 x 12 80lb Champagne 5pc. ADP8511-25 936 VELLUM 8 5X11 27LB LIGHT PINK. Paper Accents Vellum is acid free lignin free buffered and archival quality 8 5 x 11 27lb Light Pink. Manufacturer: PAPER ACCENTS. Manufacturer PAPER ACCENTS. BSTGIO 21 BEST CREATION IRON ON 12X24 GLITTER BRIGHT PURPLE. Model Number: BSTGIO.21. Manufacturer Part Number BSTGIO.21. Product Model BSTGIO.21. Manufacturer: BEST CREATION. Manufacturer BEST CREATION. BSTGIO 15 BEST CREATION IRON ON 12X24 GLITTER SOFT PINK. Model Number: BSTGIO.15. Manufacturer Part Number BSTGIO.15. Product Model BSTGIO.15. Manufacturer: BEST CREATION. Manufacturer BEST CREATION. Weight (Approximate) 0.34 lb. 1 sheet of Bo Bunny: Felicity: Foiled Vellum scrapbook paper. Cardboard inserts and/or bubble wrap are added as needed. Item must be unused and in original condition. GRAFIX-Clear Vellum. Made in USA. 19 sheets of "Our Love Reverse" vellum paper. Acid free. • Also works great as table skirting or party decoration. Excluded are Alaska, Hawaii, Puerto Rico, APO/FPO, PO Boxes and International locations. • Acid-free. DieCuts with a View - VELLUM PAPER MAT STACKS. ✔ Premium Vellum Papers. ✔ Perfect for matting pictures . ✔ 40 sheets total. ✔ Sheets are 4.5" x 6.5". What you see will depend on your monitor. You will receive one (1). Manufacturer: GRAFIX. Manufacturer GRAFIX. Use as a masking stencil to create clear film positives when screen printing with the photo emulsion process. Made for fine line work half tone images and hand drawn or painted art stencils. 25 designs 2 of each design. Color may vary slightly from pictures. Light wear on cover DOES NOT affect paper. ADP8511-25 937 VELLUM 8 5X11 27LB LIGHT GREEN. 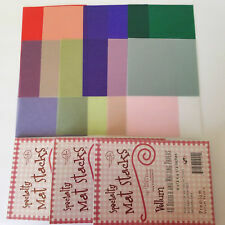 Paper Accents Vellum is acid free lignin free buffered and archival quality 8 5 x 11 27lb Light Green. Manufacturer: PAPER ACCENTS. Manufacturer PAPER ACCENTS. Model Number: 10101128. Manufacturer Part Number 10101128. Product Model 10101128. CHARTPAK, INC. Manufacturer: CHARTPAK, INC. 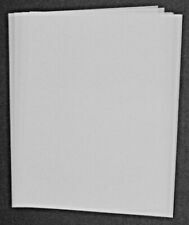 Manufacturer CHARTPAK, INC.
140 Sheets of 4.25”x10” Translucent Charcoal Vellum. Great for Invitations, Scrapbooking, And Crafts. Condition is New. ADP1212-5 884 CDSTK PEARLIZED 12X12 65LB CREAM 5PC. Manufacturer: PAPER ACCENTS. Manufacturer PAPER ACCENTS. Product Model ADP1212-5.884. Manufacturer Part Number ADP1212-5.884. Item#: 5128827. BSTGIO 6 BEST CREATION IRON ON 12X24 GLITTER ORANGE. Model Number: BSTGIO.6. Manufacturer Part Number BSTGIO.6. Product Model BSTGIO.6. Manufacturer: BEST CREATION. Manufacturer BEST CREATION. Weight (Approximate) 0.34 lb. 25 sheet pack of 10mil polyester synthetic paper. Laser and copier compatible. BSTGIO 19 BEST CREATION IRON ON 12X24 GLITTER BROWN. Model Number: BSTGIO.19. Manufacturer Part Number BSTGIO.19. Product Model BSTGIO.19. Manufacturer: BEST CREATION. Manufacturer BEST CREATION. Weight (Approximate) 0.35 lb. Clearprint Design Vellum Paper 16lb White 11 x 17 50 Sheets/Pad 10001416 - Sold as a sealed 50 page pad. Create professional drawings and tracings with translucent paper. Smooth surface is treated with high impact oil resins to produce a permanently transparent drawing. BSTGIO 22 BEST CREATION IRON ON 12X24 GLITTER GREEN. Model Number: BSTGIO.22. Manufacturer Part Number BSTGIO.22. Product Model BSTGIO.22. Manufacturer: BEST CREATION. Manufacturer BEST CREATION. Weight (Approximate) 0.34 lb. Thermoweb-Deco Foil. Made in USA. Helpful Links. BSTGIO 10 BEST CREATION IRON ON 12X24 GLITTER DARK GOLD. Model Number: BSTGIO.10. Manufacturer Part Number BSTGIO.10. Product Model BSTGIO.10. Manufacturer: BEST CREATION. Manufacturer BEST CREATION. Weight (Approximate) 0.33 lb. Paper Accents® Mirror cardstock is acid free, lignin free, buffered and archival quality. Great for scrapbooking, card making and crafts. 8.5"x 11" 13pt Silver 5pc. BSTGIO 30 BEST CREATION IRON ON 12X24 GLITTER WHITE. Model Number: BSTGIO.30. Manufacturer Part Number BSTGIO.30. Product Model BSTGIO.30. Manufacturer: BEST CREATION. Manufacturer BEST CREATION. Weight (Approximate) 0.34 lb.